Match ends, VfB Stuttgart 1, TSG 1899 Hoffenheim 1. 90+4' Second Half ends, VfB Stuttgart 1, TSG 1899 Hoffenheim 1. 90+4' Foul by Stefan Posch (TSG 1899 Hoffenheim). 90+4' Daniel Didavi (VfB Stuttgart) wins a free kick in the defensive half. 90+3' Attempt missed. Santiago Ascacibar (VfB Stuttgart) right footed shot from the right side of the six yard box misses to the right. Assisted by Daniel Didavi with a cross. 90' Attempt missed. Daniel Didavi (VfB Stuttgart) left footed shot from outside the box is too high. Assisted by Santiago Ascacibar. 86' Substitution, VfB Stuttgart. Christian Gentner replaces Steven Zuber. 85' Substitution, TSG 1899 Hoffenheim. Leonardo Bittencourt replaces Kerem Demirbay. 85' Substitution, TSG 1899 Hoffenheim. Reiss Nelson replaces Nico Schulz. 84' Attempt missed. Daniel Didavi (VfB Stuttgart) header from the centre of the box misses to the left. Assisted by Gonzalo Castro with a cross following a fast break. 84' Corner, TSG 1899 Hoffenheim. Conceded by Andreas Beck. 83' Corner, TSG 1899 Hoffenheim. Conceded by Benjamin Pavard. 82' Attempt blocked. Daniel Didavi (VfB Stuttgart) left footed shot from the centre of the box is blocked. Assisted by Andreas Beck. 79' Nico Schulz (TSG 1899 Hoffenheim) is shown the yellow card for a bad foul. 79' Foul by Nico Schulz (TSG 1899 Hoffenheim). 79' Ozan Kabak (VfB Stuttgart) wins a free kick in the attacking half. 78' Offside, VfB Stuttgart. Emiliano Insúa tries a through ball, but Daniel Didavi is caught offside. 77' Substitution, VfB Stuttgart. Daniel Didavi replaces Alexander Esswein. 77' Foul by Nico Schulz (TSG 1899 Hoffenheim). 77' Nicolás González (VfB Stuttgart) wins a free kick on the right wing. 77' Foul by Ishak Belfodil (TSG 1899 Hoffenheim). 77' Marc-Oliver Kempf (VfB Stuttgart) wins a free kick in the defensive half. 76' Corner, TSG 1899 Hoffenheim. Conceded by Nicolás González. 76' Attempt missed. Kevin Vogt (TSG 1899 Hoffenheim) right footed shot from the centre of the box misses to the left following a set piece situation. 75' Ozan Kabak (VfB Stuttgart) is shown the yellow card for a bad foul. 75' Ishak Belfodil (TSG 1899 Hoffenheim) wins a free kick in the attacking half. 75' Foul by Ozan Kabak (VfB Stuttgart). 74' Attempt missed. Florian Grillitsch (TSG 1899 Hoffenheim) header from the left side of the six yard box misses to the right. Assisted by Kerem Demirbay with a cross following a corner. 74' Corner, TSG 1899 Hoffenheim. Conceded by Marc-Oliver Kempf. 71' Delay in match Andrej Kramaric (TSG 1899 Hoffenheim) because of an injury. 70' Attempt blocked. Kerem Demirbay (TSG 1899 Hoffenheim) left footed shot from outside the box is blocked. 69' Santiago Ascacibar (VfB Stuttgart) is shown the yellow card. 69' Florian Grillitsch (TSG 1899 Hoffenheim) wins a free kick in the attacking half. 69' Foul by Santiago Ascacibar (VfB Stuttgart). 68' Steven Zuber (VfB Stuttgart) is shown the yellow card for a bad foul. 68' Florian Grillitsch (TSG 1899 Hoffenheim) wins a free kick on the right wing. 68' Foul by Steven Zuber (VfB Stuttgart). 68' Attempt saved. Pavel Kaderábek (TSG 1899 Hoffenheim) right footed shot from the centre of the box is saved in the centre of the goal. Assisted by Ishak Belfodil. 66' Goal! VfB Stuttgart 1, TSG 1899 Hoffenheim 1. Steven Zuber (VfB Stuttgart) right footed shot from the centre of the box to the centre of the goal. Assisted by Andreas Beck. 66' Attempt missed. Pavel Kaderábek (TSG 1899 Hoffenheim) right footed shot from a difficult angle on the right is close, but misses to the right. Assisted by Florian Grillitsch. 65' Attempt saved. Ádám Szalai (TSG 1899 Hoffenheim) right footed shot from the centre of the box is saved in the centre of the goal. Assisted by Kerem Demirbay. 64' Attempt missed. Kerem Demirbay (TSG 1899 Hoffenheim) left footed shot from the centre of the box is close, but misses to the left. Assisted by Andrej Kramaric. 63' Substitution, TSG 1899 Hoffenheim. Ádám Szalai replaces Joelinton. 62' Foul by Ermin Bicakcic (TSG 1899 Hoffenheim). 62' Alexander Esswein (VfB Stuttgart) wins a free kick on the right wing. 59' Joelinton (TSG 1899 Hoffenheim) is shown the yellow card for a bad foul. 59' Foul by Joelinton (TSG 1899 Hoffenheim). 59' Santiago Ascacibar (VfB Stuttgart) wins a free kick in the defensive half. 58' Corner, TSG 1899 Hoffenheim. Conceded by Ozan Kabak. 57' Attempt missed. Ishak Belfodil (TSG 1899 Hoffenheim) right footed shot from outside the box is high and wide to the right. Assisted by Kerem Demirbay. 57' Attempt blocked. Andrej Kramaric (TSG 1899 Hoffenheim) right footed shot from the right side of the box is blocked. Assisted by Nico Schulz. 54' Substitution, VfB Stuttgart. 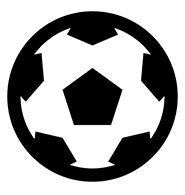 Nicolás González replaces Mario Gomez. 53' Corner, VfB Stuttgart. Conceded by Stefan Posch. 49' Foul by Florian Grillitsch (TSG 1899 Hoffenheim). 49' Santiago Ascacibar (VfB Stuttgart) wins a free kick in the attacking half. 48' Ermin Bicakcic (TSG 1899 Hoffenheim) wins a free kick in the defensive half. 48' Foul by Steven Zuber (VfB Stuttgart). 48' Pavel Kaderábek (TSG 1899 Hoffenheim) hits the left post with a header from the centre of the box. Assisted by Kerem Demirbay with a cross following a corner. 47' Corner, TSG 1899 Hoffenheim. Conceded by Benjamin Pavard. Second Half begins VfB Stuttgart 0, TSG 1899 Hoffenheim 1. 45+1' First Half ends, VfB Stuttgart 0, TSG 1899 Hoffenheim 1. 45' Gonzalo Castro (VfB Stuttgart) is shown the yellow card for a bad foul. 45' Kerem Demirbay (TSG 1899 Hoffenheim) wins a free kick in the attacking half. 45' Foul by Gonzalo Castro (VfB Stuttgart). 42' Goal! VfB Stuttgart 0, TSG 1899 Hoffenheim 1. Andrej Kramaric (TSG 1899 Hoffenheim) right footed shot from the centre of the box to the centre of the goal. Assisted by Ishak Belfodil. 41' Offside, VfB Stuttgart. Gonzalo Castro tries a through ball, but Alexander Esswein is caught offside. 41' Foul by Joelinton (TSG 1899 Hoffenheim). 41' Santiago Ascacibar (VfB Stuttgart) wins a free kick on the right wing. 38' Attempt missed. Steven Zuber (VfB Stuttgart) right footed shot from outside the box misses to the right. Assisted by Gonzalo Castro following a set piece situation. 37' Foul by Joelinton (TSG 1899 Hoffenheim). 37' Gonzalo Castro (VfB Stuttgart) wins a free kick on the left wing. 36' Andreas Beck (VfB Stuttgart) hits the right post with a left footed shot from the centre of the box. Assisted by Emiliano Insúa with a cross. 36' Attempt blocked. Andrej Kramaric (TSG 1899 Hoffenheim) right footed shot from the centre of the box is blocked. Assisted by Joelinton. 35' Ishak Belfodil (TSG 1899 Hoffenheim) wins a free kick in the defensive half. 35' Foul by Marc-Oliver Kempf (VfB Stuttgart). 32' Corner, TSG 1899 Hoffenheim. Conceded by Ozan Kabak. 31' Pavel Kaderábek (TSG 1899 Hoffenheim) wins a free kick in the defensive half. 31' Foul by Steven Zuber (VfB Stuttgart). 31' Attempt blocked. Alexander Esswein (VfB Stuttgart) left footed shot from the right side of the box is blocked. 30' Corner, VfB Stuttgart. Conceded by Florian Grillitsch. 30' Attempt blocked. Steven Zuber (VfB Stuttgart) right footed shot from outside the box is blocked. Assisted by Mario Gomez with a headed pass. 29' Attempt missed. Kerem Demirbay (TSG 1899 Hoffenheim) left footed shot from outside the box is just a bit too high from a direct free kick. 28' Andrej Kramaric (TSG 1899 Hoffenheim) wins a free kick in the attacking half. 28' Foul by Steven Zuber (VfB Stuttgart). 27' Corner, TSG 1899 Hoffenheim. Conceded by Ron-Robert Zieler. 27' Attempt saved. Andrej Kramaric (TSG 1899 Hoffenheim) right footed shot from the left side of the box is saved in the bottom left corner. Assisted by Ermin Bicakcic. 26' Attempt missed. Joelinton (TSG 1899 Hoffenheim) right footed shot from outside the box is high and wide to the right. Assisted by Nico Schulz. 23' Ermin Bicakcic (TSG 1899 Hoffenheim) wins a free kick in the defensive half. 23' Foul by Alexander Esswein (VfB Stuttgart). 21' Corner, VfB Stuttgart. Conceded by Kevin Vogt. 20' Attempt missed. Andreas Beck (VfB Stuttgart) left footed shot from outside the box is high and wide to the left. Assisted by Santiago Ascacibar. 19' Foul by Pavel Kaderábek (TSG 1899 Hoffenheim). 19' Steven Zuber (VfB Stuttgart) wins a free kick in the defensive half. 18' Foul by Joelinton (TSG 1899 Hoffenheim). 18' Marc-Oliver Kempf (VfB Stuttgart) wins a free kick in the attacking half. 17' Attempt saved. Florian Grillitsch (TSG 1899 Hoffenheim) header from the centre of the box is saved in the centre of the goal. 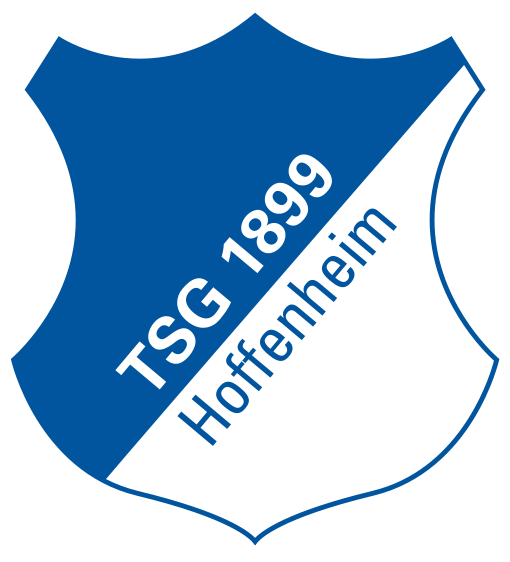 17' Corner, TSG 1899 Hoffenheim. Conceded by Marc-Oliver Kempf. 17' Attempt blocked. Andrej Kramaric (TSG 1899 Hoffenheim) right footed shot from a difficult angle on the right is blocked. Assisted by Kerem Demirbay with a headed pass. 15' Attempt missed. Andrej Kramaric (TSG 1899 Hoffenheim) left footed shot from the left side of the box is too high. 15' Attempt saved. Kerem Demirbay (TSG 1899 Hoffenheim) left footed shot from outside the box is saved in the bottom left corner. Assisted by Ishak Belfodil. 14' Attempt saved. Joelinton (TSG 1899 Hoffenheim) right footed shot from the centre of the box is saved in the top centre of the goal. Assisted by Ishak Belfodil. 13' Attempt missed. Andreas Beck (VfB Stuttgart) left footed shot from the centre of the box misses to the right. Assisted by Emiliano Insúa with a cross. 12' Marc-Oliver Kempf (VfB Stuttgart) wins a free kick in the defensive half. 12' Foul by Pavel Kaderábek (TSG 1899 Hoffenheim). 8' Corner, VfB Stuttgart. Conceded by Florian Grillitsch. 6' Foul by Kevin Vogt (TSG 1899 Hoffenheim). 6' Alexander Esswein (VfB Stuttgart) wins a free kick on the right wing. 6' Attempt missed. Kerem Demirbay (TSG 1899 Hoffenheim) left footed shot from the centre of the box misses to the left. Assisted by Ishak Belfodil. 4' Attempt saved. Alexander Esswein (VfB Stuttgart) left footed shot from the left side of the box is saved in the centre of the goal. Assisted by Steven Zuber with a through ball. 3' Attempt missed. Mario Gomez (VfB Stuttgart) right footed shot from a difficult angle and long range on the right misses to the left. Assisted by Alexander Esswein. 3' Emiliano Insúa (VfB Stuttgart) wins a free kick in the defensive half. 3' Foul by Ishak Belfodil (TSG 1899 Hoffenheim). 2' Foul by Joelinton (TSG 1899 Hoffenheim). 2' Ozan Kabak (VfB Stuttgart) wins a free kick in the defensive half. 1' Offside, TSG 1899 Hoffenheim. Ermin Bicakcic tries a through ball, but Ishak Belfodil is caught offside.